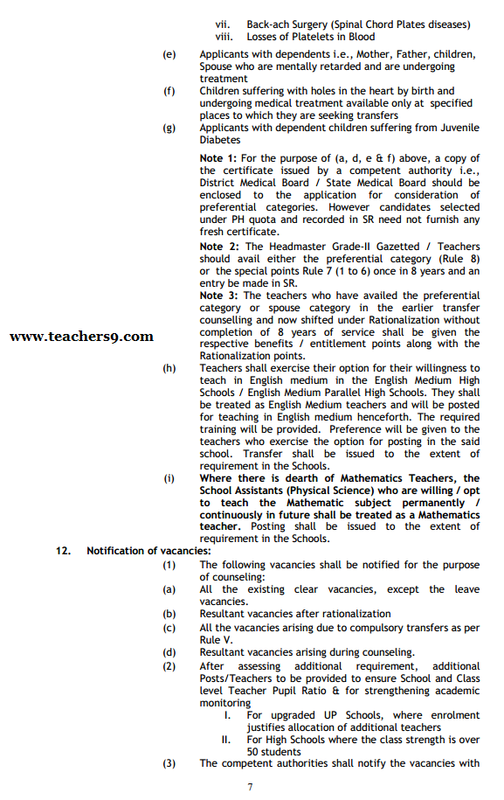 Government have decided to call for the applications for transfer of teachers through online and conduct web counseling duly obtaining the options as was done in the transfer counseling of A.P. Model Schools, Admission into DIETCET etc. 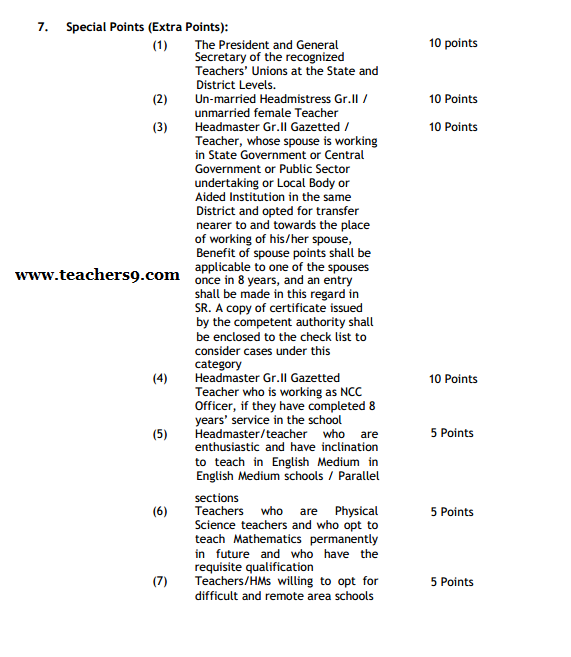 The Headmasters/teachers shall apply online in the IP address given for the purpose. 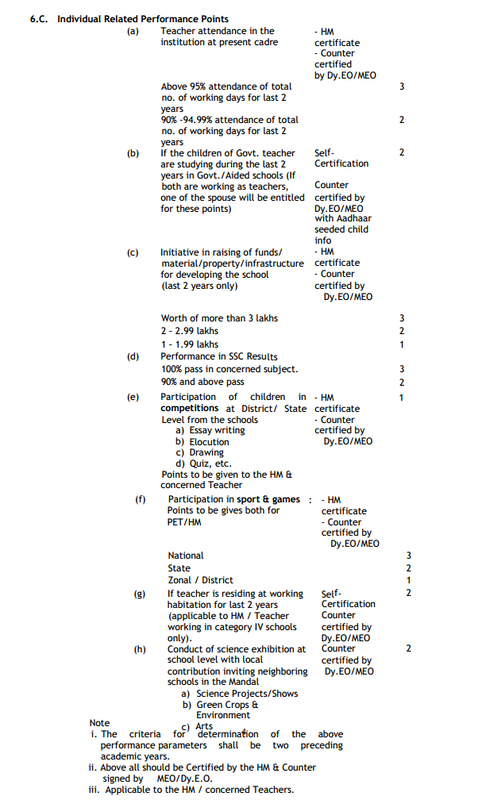 These rules may be called the Andhra Pradesh Teachers (Regulation of Transfers) Rules, 2015-16. 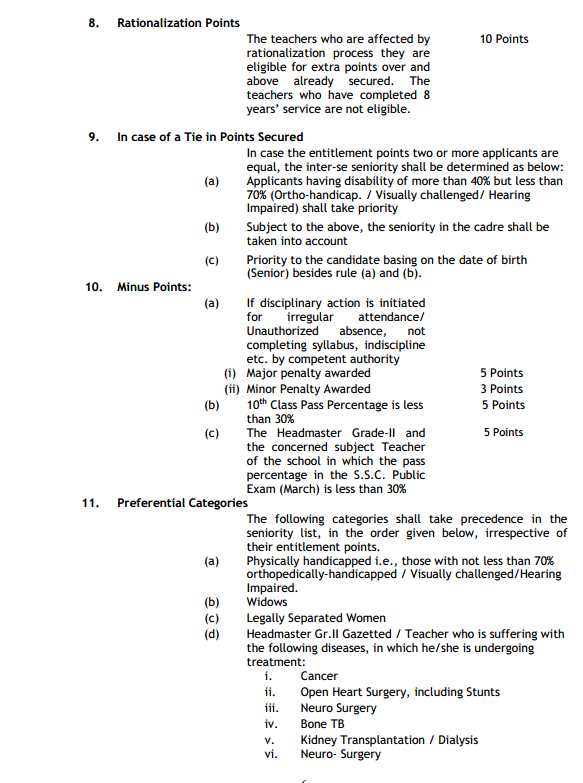 These rules shall be applicable to Headmaster Gr.-II Gazetted in Andhra Pradesh School Education Service and School Assistants / Secondary Grade Teachers and other equivalent categories in Andhra Pradesh School Education Subordinate Service, herein after referred to as Teacher in these Rules. The District Collector shall publish the list ofhabitations in the district which do not have connectivity through an all-weather road as per the norms of Panchayat Raj (Engineering) Department in consultation with the Superintendent Engineer, P.R. of the district for this purpose, and the same shall be final. For the Service rendered: 0.5 point for every year of completed service in the total service in all categories as on 1st August 2015 of the year.